This program is designed for class XI and XII students. The classes will be on weekdays and weekends. This program is designed according to the NEET syllabus of grade XI and XII In 10 years of successful presence in Tamilnadu, Reach has given outstanding results and many students have achieved their dreams becoming a doctor through our meticulous and well designed NEET Programme. In-depth knowledge / conceptual clarity in Physics, Chemistry and Biology. Techniques for speed and accuracy to face any competitive exams. Tips and techniques to study and score high in board exams. Confidence to handle any exam without fear. Guidance for applying to various exams. Inter-Active and lively sessions by expert Trainers. Pre/post Assignment/Test discussion in class. Daily tests & Mock tests. The Program is Designed in the way that the students should excel in their subjects along with the preparation of Entrance classes. Reach Academy will take School Curriculum along with entrance classes. These will be held on the working days. This Program enables better learning for the students. This class is meant for grade XI & XII and YEAR LONG PROGRAM FOR STUDENTS OF CLASS XI & XII. Students will be able to complete and succeed to comfortably in school and competitive entrance examination. Students can identify their strong areas in the main subjects and choose appropriate groups at higher secondary level. Students will gain capacity to solve tricky problems and can stay ahead of others. Reach Academy will ensure that the best of teachers are available for the program irrespective of the option chosen, The program will have constraints only based on its inherent but not due to quality of teachers or its methodology. We understand three essential factors for success of student in competitive entrance examinations and ensures that our methodology is integrated with these factors. Faculty - with experience in handling entrance coaching in established institutes. Study Material - A through research based content with all vital aspects needed for a candidate to outperform others in a competitive arena. Training Methodology - Every topic followed by test assessment - discussion and tips for better answering of tricky problems. 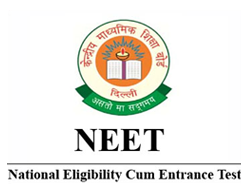 NEET Repeaters batch designed in such a way that students can achieve the dream at ease. 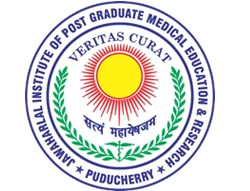 The program is designed for 12th Students who are passionate to clear NEET the coming year. 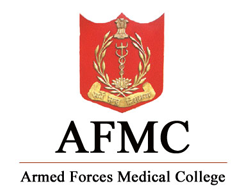 The Course will be handled by expert faculties of reach academy from all over India. The Course module is well designed by experts and the process flow is so meticulous to make sure the students get the best experience to get themselves equipped for NEET. n Number of Practice Sessions. Special Focus on weak areas. Course Commences in the month May / June. Stress on application of concepts. Importance given for problem solving skills. 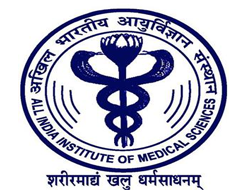 Special focus given for AIIMS - PMT & JIPMER Examination. Daily unlimited tests & Work Sheets. Group of experienced faculties from KOTA, HYDERABAD, & TAMILNADU. Separate classes for Boys & Girls. Spacious hostel & Hygienic food. Salem - 636016, TN, India.